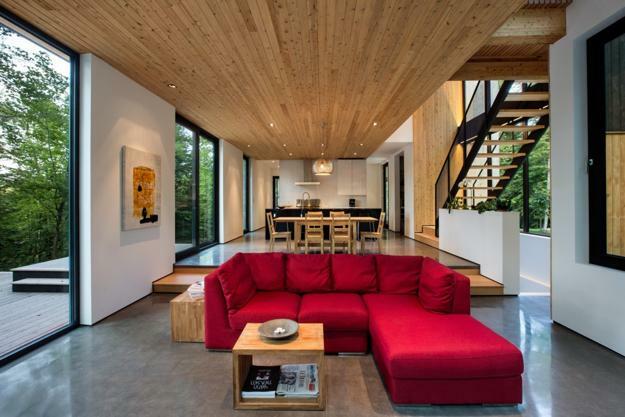 This beautiful house design display charming wooden facade and warm home interiors elegantly accentuated with red color. 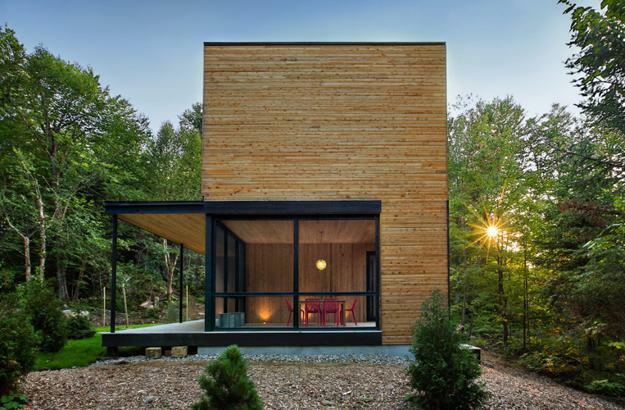 The house in the forest provides a perfect retreat form busy city life and looks harmonious surrounded by trees celebrating Canadian landscape. 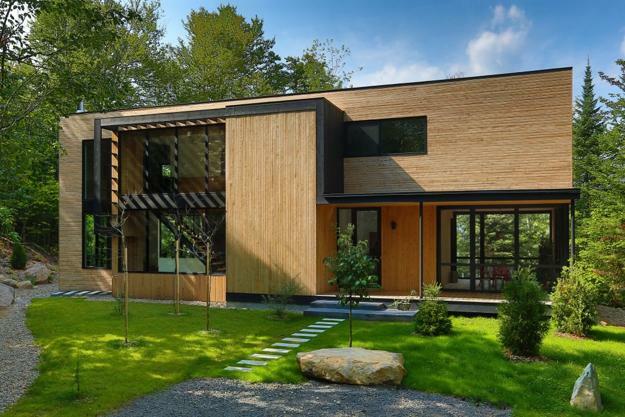 Large window and wooden exterior design harmonize this home and invite people to connect to the nature. Black design elements and window frames, warm brown colors of natural wood and red color accents create cozy and comfortable home interiors that are bright and stylish. The La Chasse-Galerie feature airy, functional and modern home interiors which benefit from bright natural light and green surrounding. 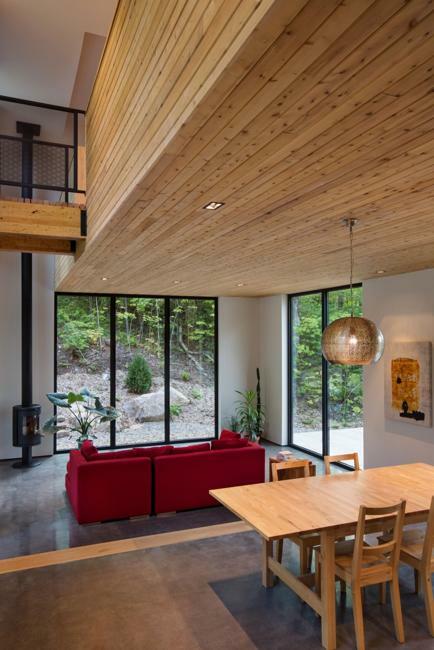 Fresh forest air enhances spacious house design imagined by Thellend Fortin Architectes, thellendfortin.com/. 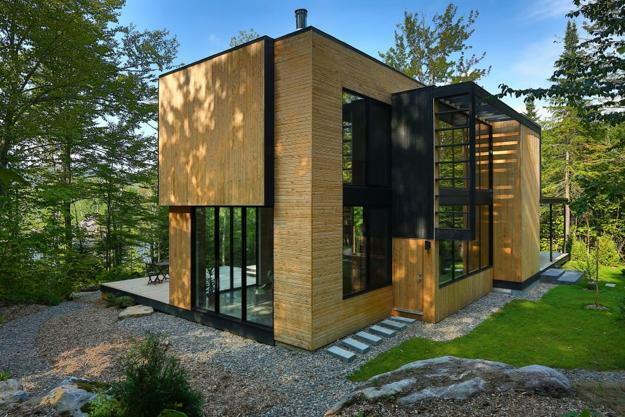 This modern house is built in Montreal, Canada. 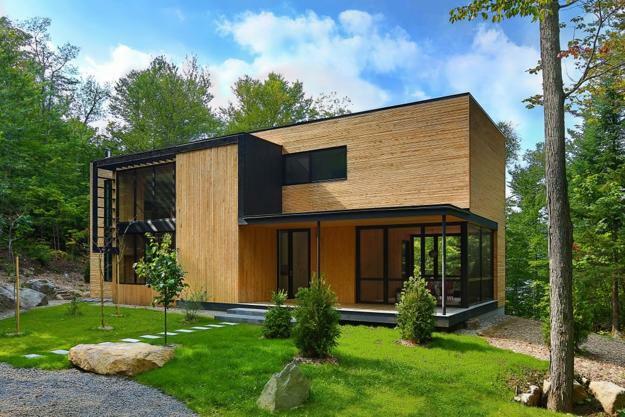 The eco house exterior and interior design reflect the architects desire to bring the home in harmony with its environment. 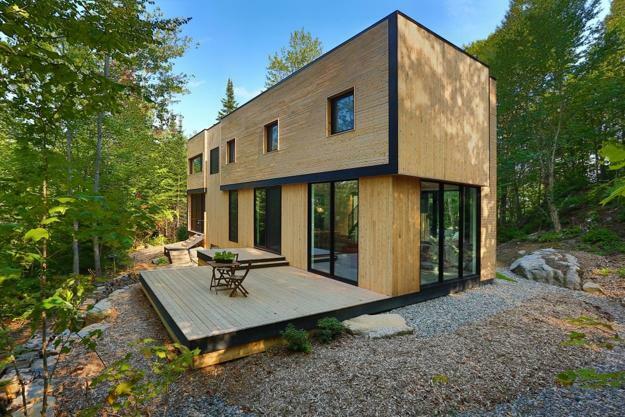 Located on a plateau in the heart of the Laurentian forest, the modern house is bright and inviting despite its north-facing position. 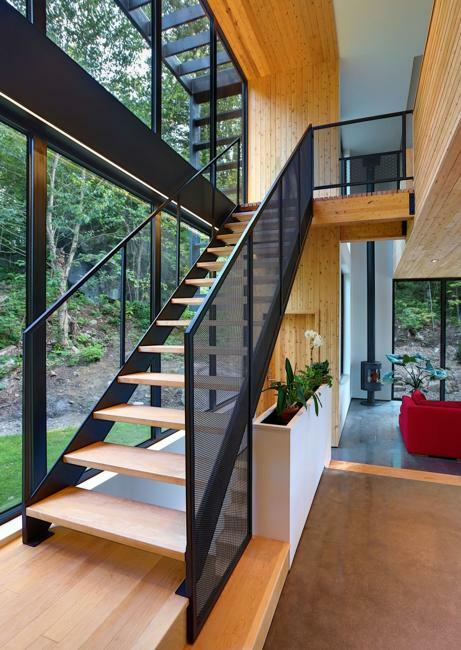 Two levels ensure that the entire interior design benefits from abundant natural light. Creatively used red color accents bring romantic mood and energy into modern home interiors, adding interest and spicing up living spaces with hot red color.